Let’s make some docinhos! 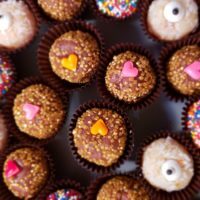 These delicious small treats are so easy and fun to make. 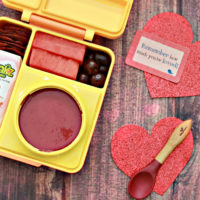 Perfect for any occasion – especially Valentine’s Day! 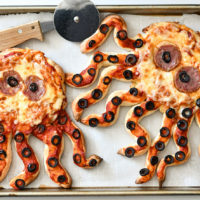 These are a perfect recipe to get the children involved in the kitchen. 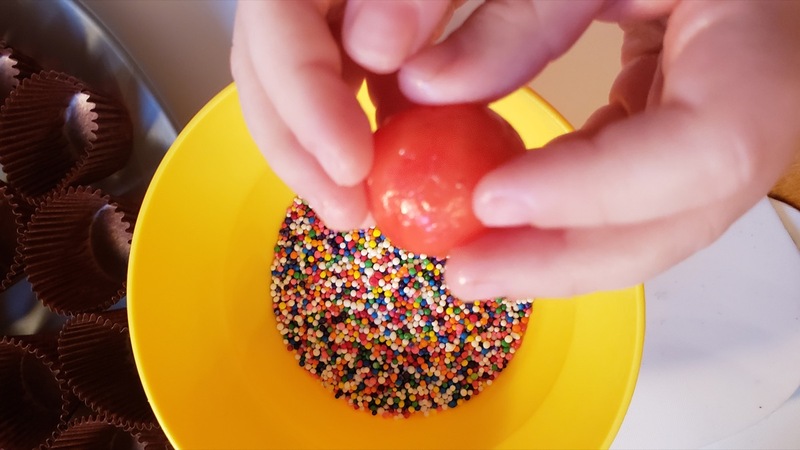 They can roll the little balls and help decorate them. Now, let the fun begin! 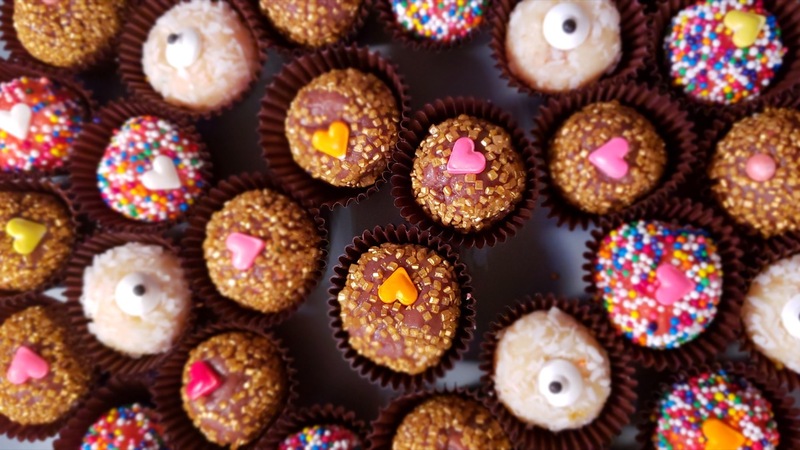 Docinhos are a Brazilian sweet treat that are easy to make and taste delicious. In Brazil, they will be found at any birthday party, no matter for what age! It is a tradition to have them on the cake table. They can come in different flavors, but two of the signature flavors are Beigadeiro chocolate, or Beijinhos coconut. You could also use strawberry, cashews, walnuts, or even powdered milk! 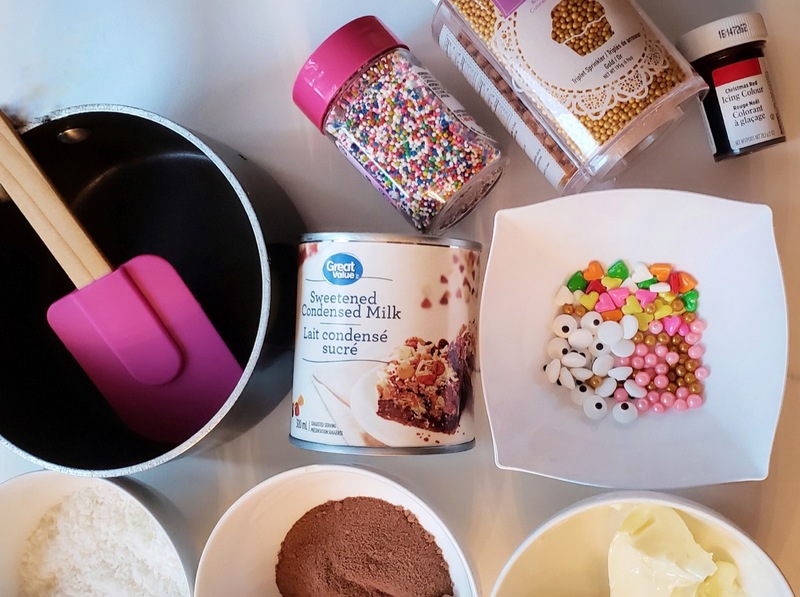 fun toppings: colorful sprinkles, small candies, chocolate, nuts, get creative! 1. Heat the sauce pan on a stove top using medium heat. 2. Add butter and half the can of condensed milk. Use the whole can if you’re only making one flavor. 3. 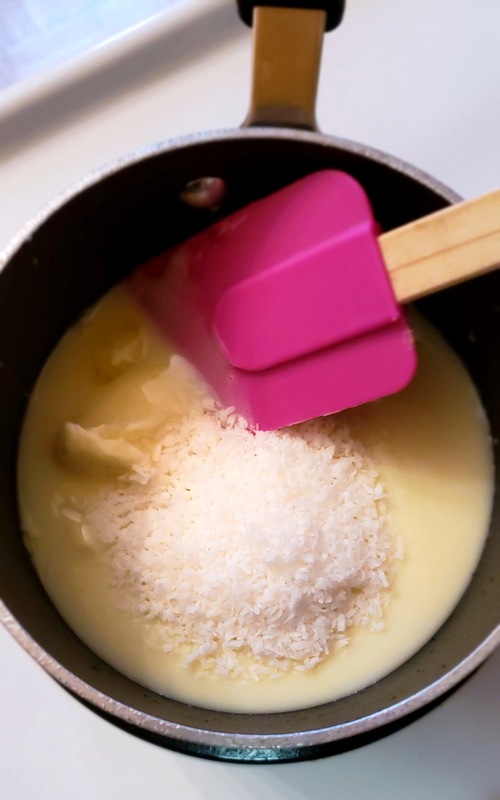 Add 4 teaspoons of shredded coconut or cocoa powder, depending on which flavor you’d like to make. If you’re only making one flavor (with a whole can of milk), double the coconut or cocoa powder. 4. 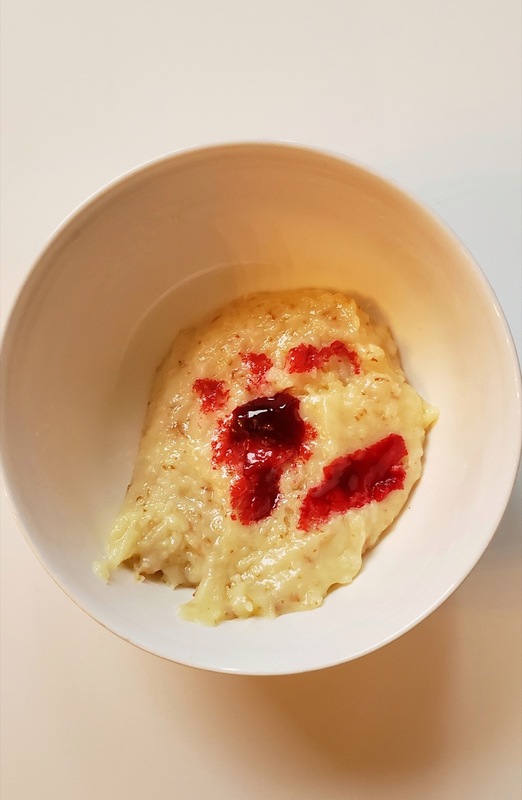 Melt all ingredients together in the pot and keep mixing until you reach a thick consistency. This should take a few minutes. 5. Using the spatula scrape the cooked mixture into bowl. If you’re using food coloring, you can now add a few drops now and mix it in. Allow the mixture to cool in the fridge. Note: Be very careful with these steps as the bowl may be hot! 6. Repeat this procedure for all your different flavor combinations. Add each combo to a separate bowl and allow to cool in the fridge. Once hardened, it’s time to get the kids involved! Have the the toppings set out in little bowls. Pro tip: Have a little bit of extra butter close by. If you keep a little bit of butter in the palm of your hand, it will prevent the mixture from sticking when rolling! 7. Let’s get rolling! 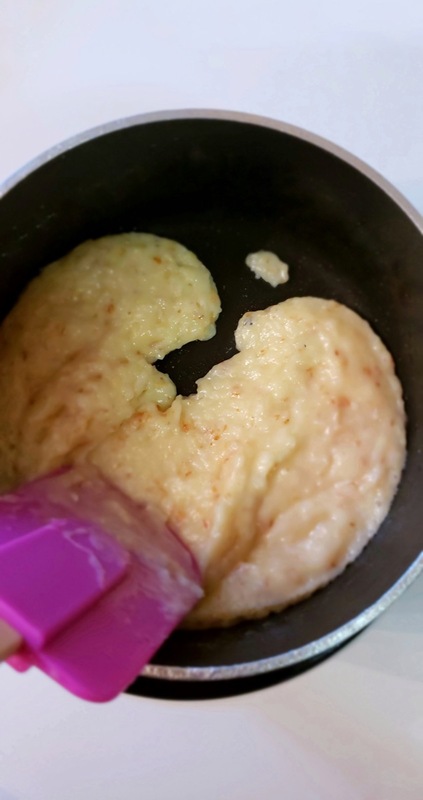 Use a small spoon to scoop up some batter, and use your palms to roll the dough into little balls. 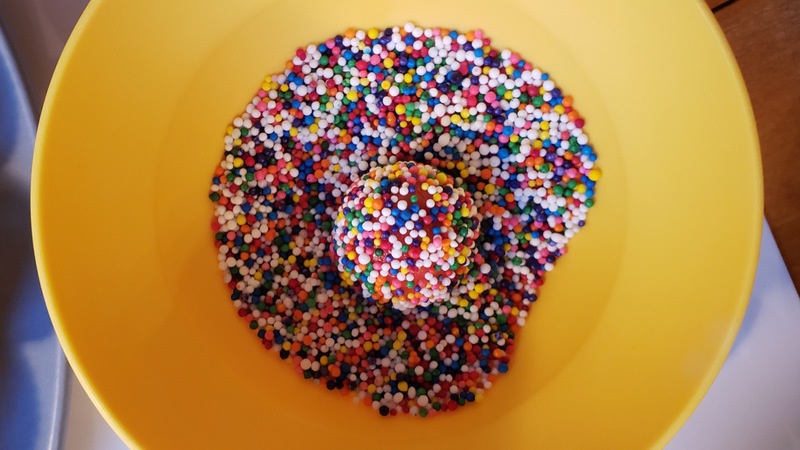 Drop the balls into the container of your chosen toppings and roll until covered. 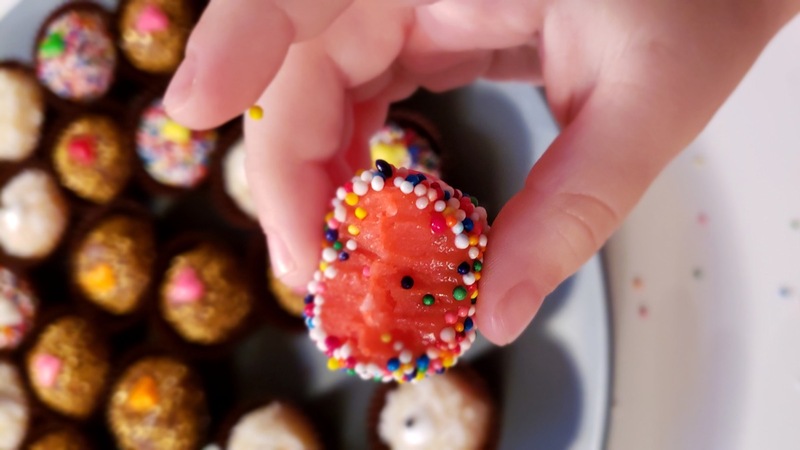 Put the little ball in a bon bon cup and repeat until all batter is used up. Note: 1 300ml can of condensed milk will make around 30 little balls. Born in Brazil, Jaqueline Leal now lives in Toronto, Canada. She is a wife, mother to two amazing children and the founder of JBL Natural Skincare. She handcrafts each item she sells, creating small batches using all natural, vegan ingredients. 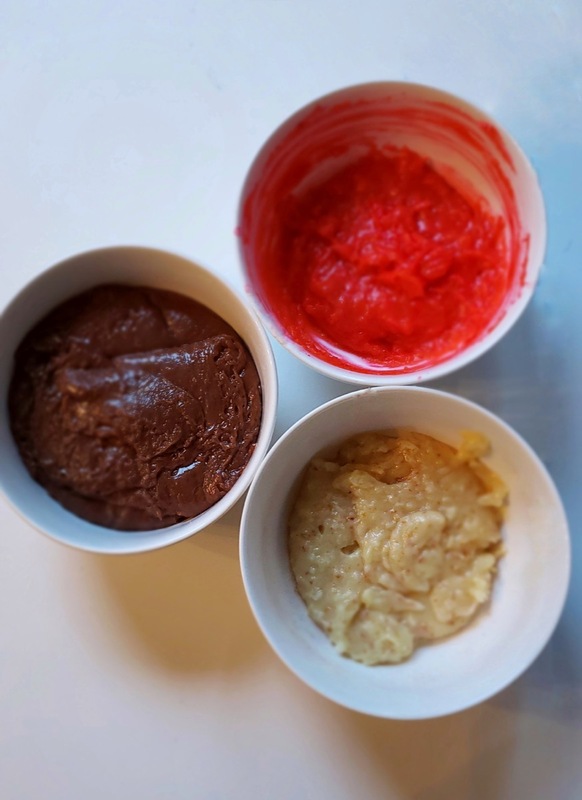 Using choice oils, butters, and plant infusions, Jaqueline’s creations are sold through her website and in local markets and shops. You can follow her on Instagram here.